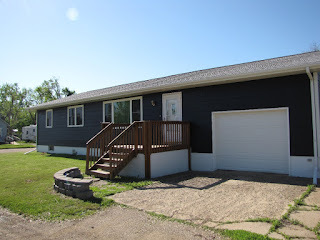 Located at 401 3rd Avenue East in Lemmon, South Dakota, this 3 bedroom ranch style home with numerous upgrades would be perfect for the retired farmer or rancher looking to move to town or the established family looking to upgrade. The home has modern windows, modern siding and relatively new roof with a 3 car garage and breezeway that was constructed in 2004. This jewel is located on the corner of 3 lots that you can oversee while sitting on the gorgeous no-maintenance deck and in addition to the 3 car garage has an attached garage that could be easily transformed into additional living space.